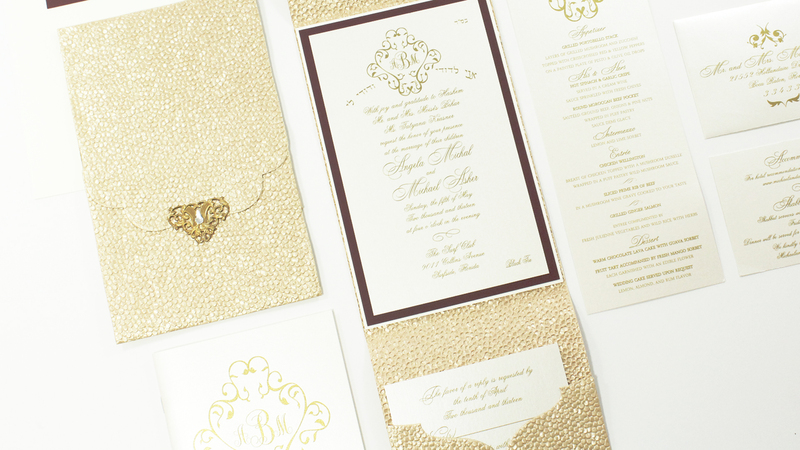 This couple wanted a luxurious Russian inspired invite to match the golds and deep reds that were being incorporated into their wedding. 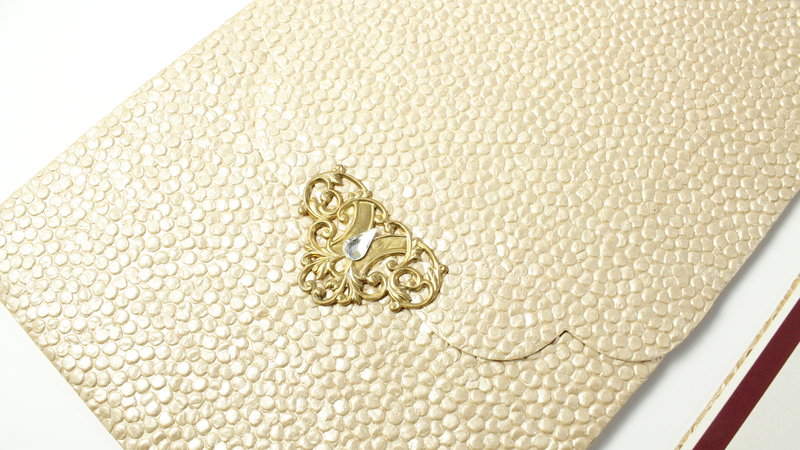 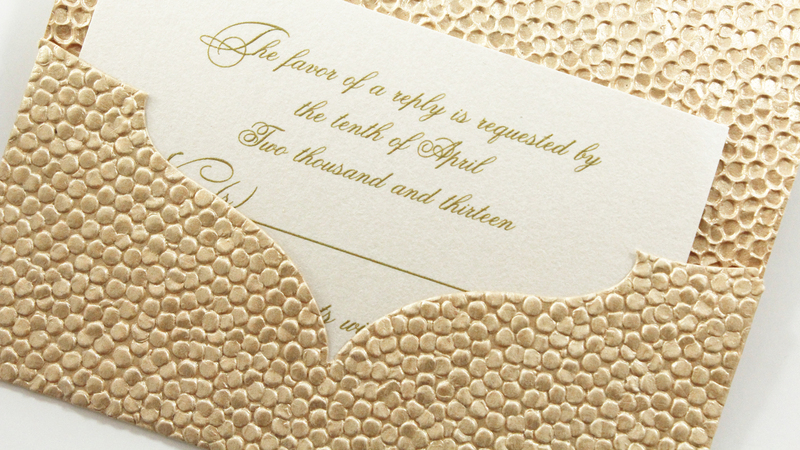 We designed a custom envelopment with a pearlized embossed texture to add dimension and character. 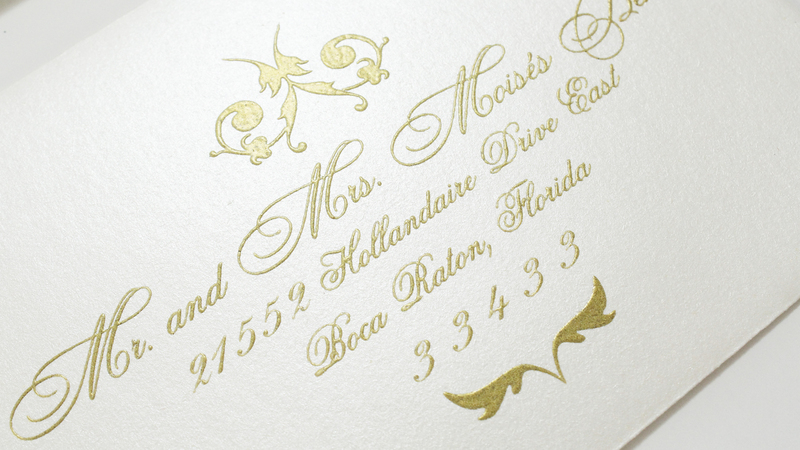 This invite is embellished with a gold scroll embellishment and a Swarovski crystal.